Look, people. Let’s not beat around the bush. This September, I’ve got a new book coming out. It’s called RED RIGHT HAND, and it’s the followup to my Anthony, Barry, Lefty, and Macavity-nominated Michael Hendricks novel, THE KILLING KIND. I’m crazy psyched for folks to read it. So psyched, in fact, I’ve decided to give a signed ARC* away to one lucky MCW reader. How, you ask? Keep reading. *For those who don’t know, an ARC (or advance reading copy) is the early, uncorrected version of a book sent to reviewers well before the book’s release. RED RIGHT HAND’s ARCs were printed prior to copyediting, and differ slightly from the hardcover. That means a) they’re something of a collector’s item, and b) whoever wins one will get to read the version of the book I submitted to my editor, as well as mock my typos and questionable comma placements. For those who don’t know, my wife, Katrina, is involved in the mystery community too, as a reviewer for Publishers Weekly, Mystery Scene, and Crimespree. She and I are fond of taking long walks, during which our conversations often turn to books. What book would you give to somebody who’s never read crime fiction to show them why you love the genre and what it’s capable of? It’s an interesting question to me, because the answer isn’t necessarily your favorite book, it’s the book you think would be the best ambassador for the genre. (Some of my favorites [Donald Westlake’s Parker books, for example] are maybe too far down the genre rabbit hole to appeal to someone who’s never read a crime novel before.) And tastes vary so widely from recipient to recipient that it’s hard to choose one book with broad enough appeal. Katrina offered two: Agatha Christie’s AND THEN THERE WERE NONE and Donna Tartt’s THE SECRET HISTORY. 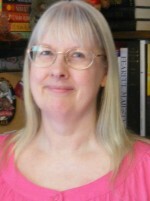 The former was the first adult mystery she ever read, and it ignited a passion for the genre that continues to this day. The latter (which, for the record, was in the running for me, too) is a beautifully written tale that puts the lie to the idea that crime fiction is lowbrow fare. I’m similarly torn. I’m tempted to suggest Sir Arthur Conan Doyle’s THE HOUND OF THE BASKERVILLES because, like Katrina with Christie, I fell in love with it as a child. Or Raymond Chandler’s THE BIG SLEEP, which is as gorgeous on the sentence level as any book you’ll ever read. But instead, I’ll take the opportunity to choose a novel from one of my favorite current crime authors: Megan Abbott’s THE END OF EVERYTHING. THE END OF EVERYTHING is at once a gorgeous literary novel, a heart-wrenching coming-of-age story, an unflinching work of crime fiction, and an expertly constructed fair-play mystery. It’s not an easy read by any means, but for me, it’s without a doubt one of the most satisfying in recent memory. So… what book would you choose? Leave your answer in the comments, and be sure to include your name. Tomorrow (Wednesday) morning at 9AM EST, I’ll randomly select one commenter to receive the ARC (either by placing names in a hat or sorting via Excel’s random number generator, depending on my level of laziness), and notify the winner via the comments shortly thereafter. You’re welcome to leave multiple comments, but I’ll only count them as one entry. This entry was posted in Chris's Posts. Bookmark the permalink. Ooh. What wonderful choices! Julia and Hank are terrific writers (and terrific people)! Now we get to my secret motivation for posing this question: finding out about great books I’ve never read. First and foremost Agatha Christie Murder on The Orient Express. It to me personified mystery thrillers.,Then any Thomas Perry who writes such eloquence in each book while thrilling sleigh to this reader. Both great choices! I was lucky enough to meet Thomas Perry (and his wife, Jo, who also writes) at Left Coast Crime this year. I would pick ‘Eye of the Storm’ by Marcia Muller. While not the first book, it is a good introduction to the Sharon McCone series. Also the fact that the majority of the story takes place with everyone trapped on an island in a large historical house that is rumored to be haunted in the middle of a major storm gives it that something extra. In the years since I picked that up on a whim I’ve read every book in the series, some more than once. This sounds terrific. I’ve never read it! Great post and excellent choices. I’ll go with Elmore Leonard’s 1990 masterpiece GET SHORTY. Thanks, Erik! Leonard’s a brilliant choice, because he had a knack for writing brilliant genre novels that also appealed to fans outside the genre. Elmore Leonard’s “Freaky Deaky” (1988). Sometimes you’re gonna fall down the rabbit hole whether you want to or not. Another fantastic Leonard novel. Good choice. I agree with Katrina, And Then There Were None! Devoured Agatha Christie when I was young! Thanks. Me, too. Growing up, I thought every kid went from The Hardy Boys and Nancy Drew to Poe, Doyle, and Christie. Turns out, just the future mystery geeks. I’d choose Louise Penny’s Still Life. Her writing style is so beautiful and the setting of Three Pines, with its quirky characters, draws the reader into another world. Hmm. I’m inclined to disqualify you because whenever I’m nominated for anything, Louise Penny winds up beating me. (Well, her or Catriona McPherson.) OH, FINE, I’LL ALLOW IT. I thought long and hard about Poe… and if the question were about short stories, there’s every chance he’d be my top choice. This is really tough since I read A LOT of crime fiction and have done for more years than I care to disclose. However, King of Lies by John Hart immediately springs to mind. It was tough for me, too, and if I wrote this post again tomorrow, there’s every chance I’d choose a different book. I’ve not read KING OF LIES. I’ll have to check it out! This is a hard question, because it’s not your favorite. I think I have to go with P.D. James, Original Sin. It was one of the books that brought me back to mystery after a childhood of Nancy Drew and Agatha Christie, but then a long break from mysteries in my twenties. It IS tough, isn’t it? My choice happens to be one of my favorites, but I disqualified loads of other favorites because they seemed a little inside-baseball for genre newbies. Lou Berney’s The Long and Farway Gone would be the one for me, It like Mystic River shows so eloquently how crime fiction can carry the weight and depth of this thing called life. It has a simple elegance in playing out the wonderfully complex way memories color and haunt our every step. I might also sujest that they may very well have already have read one of my favorite crine books, To Kill a Mocking Bird. THE LONG AND FARAWAY GONE was on my short list, too. A stunning accomplishment, and a book I’ve pushed on anyone within earshot. Don’t tell Lou, though. I’d hate for it to go to his head. Two of my absolute favorites and authors I still buy in hardback – James Lee Burke’s Dave Robicheaux series and the Elvis Cole books by Robert Crais. Not only are they amazing people in person but the writing…I can’t describe what JLB’s stuff means to me (and how in the hell does he write descriptors like he does??) and the Elvis Cole character (whom I discovered working in LA for a film company looking for possible movie scripts) is basically the epitome of everything that’s great about any modern day mystery series. I am a person who usually reads fantasy and that ilk, but these two guys will always be on my list. Two terrific writers, to be sure. The Lonely Silver Rain by John D. MacDonald. Last of the great Travis McGee series- sad, poignant, powerful. Coda to the work of a master. Nice. Do you think it would land as well for someone who hasn’t followed the series religiously? 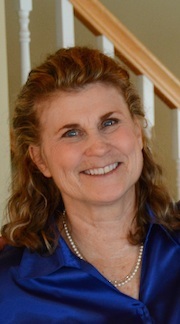 I would recommend a new mystery reader start with Louise Penney’s series. Her characters are beautifully described and become real people one cares about. The plots are sharp and unpredictable, and the settings from city to remote country side are captivating. She is one of my favorite authors of any genre. Lots of love for Louise Penny today! Mostly excellent choices, Nancy… although that Holm guy, I’m less impressed with. I’ve met him, and he ain’t too bright. Like twice a day he loses his pen, only to discover it’s behind his ear. William Kent Krueger’s first Cork O’Connor book, Iron Lake. Good choice! Kent’s a powerful writer, to be sure. I had to ponder on this one- A book that I would recommend to introduce them to mysteries- I would have to say- Sue Grafton and her alphabet series. Kindsey is such a likeable P.I. Her characters become so real- Henry, her landlord, Rosie- the Hungarian master chef – her VW and the scores of individuals that pass through her agency. This is a great idea and a difficult one, too. I have read so many mysteries, past and present, that I love: I did read Donna Tart’s debut novel and, of course, Agatha Christie and all of Nancy Drew, and all of Lisa Gardner, Jonathan Kellerman, and Patricia Cornwell and many of the gothic mystery writers, so I have been wracking my mind trying to come up with a brilliant answer, and I can’t. Therefore, I am just going to list one of my favorites off the top of my head, for now: Michael Connelly is a great writer, and I particularly loved The Last Coyote. Ooooh! Only one? Since I’ve never been one to follow all of the rules, I’ll go with two, one old, one new. This was one of the first mystery/intrigue books I read as a teen. It’s one I’ve read many times. New- The Crossing by Michael Connelly. His latest and one of my favorites so far. I’ve heard so many raves about REBECCA, I really need to add it to my TBR pile. It’s one of my old favorites and the movie was also good. I was also going to say Rebecca: that was a truly wonderful book. I’m going to nominate three, because it is too difficult to choose one. So there. For a different type of mystery, and one that might bring in history buffs as well, I’d suggest Sansom’s Dissolution, or perhaps Josephine Tey’s Daughter of Time (particularly in Derek Jacobi’s brilliant reading). It’s a fun challenge, and I’m sure I’ll have a different answer tomorrow! Like so many, I fell in love with the genre as a child with Nancy Drew, Hardy Boys, Trixie Belden, and later, Agatha Christie. But in my adult life, I think my most fun discovery in the genre was Patricia Sprinkle’s Thoroughly Southern Mysteries series. The first I read was But Why Shoot the Magistrate?, which had me hooked. These are cozy mysteries. Although there is always a murder and suspense, Sprinkle also writes with humor, which I appreciate. 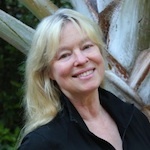 I also like cozy mysteries with a dash of humor: Sue Grafton’s series, for one is great, but there are several other writers who do a pretty good job—Sunny Frazier! Nice post, Chris and Katrina! It’s been so long since I’ve read the books that sucked me into the genre (I’m talking kids’ books: Nancy Drew, Hardy Boys, then in high school Christie and Sherlock Holmes. As an adult, Robert Parker’s Spenser series grabbed me and got me writing in the first person. James Lee Burke is a brilliant, lyrical writer and makes you fall in love with the bayou. Tana French’s In the Woods. An intriguing question. If I want to persuade someone to start reading crime fiction, to show them some of the reasons why I love the genre, I don’t think I’d recommend one of the older classics. The older writing styles might distract from the content. Instead, I want something more current, some which will excite them, to get their pulse racing. I want a riveting story which they won’t be able to put down until they finish it. It want the story to have depth but still be very approachable. My choice then would be The Town by Chuck Hogan, a compelling heist thriller (which was made into an excellent movie too). The Monkey’s Raincoat by Robert Crais. While I read many, many mysteries in my early years in high school I moved on to science fiction. Twenty years later I stumbled across Robert Crais books and fell in love the mystery genre again. Mortal Allies by Brian Haig. The Major Drummond series is terrific. I have to go with The Hound of the Baskervilles, it was the first adult book my father bought me and it is still a favorite. And with the new BBC Sherlock series it makes it easier to interest people. Dorothy Sayers is one of my all-time favorites, and while I love Gaudy Night best, I’d go with Murder Must Advertise. It’s just so damned funny. The Maine Crime Writer crew is so happy to see a lot of librarians commenting today. You are so often our front line in getting books introduced to readers, and we love having you here. I can see another post on this subject shaping up…. Hear, hear, Kate! We’re getting some awesome responses, too. The Monkey’s Raincoat by Robert Crais and I see that I’m not the only one. Or The Cold Dish by Craig Johnson — the first in the Longmire series. I don’t think I could honestly recommend any one writer or one of their books, I’ve read many different ones over the years and have many favorites. Some are Beverly Conner, I have been waiting on a new one from her for a long time but it can’t find out what the hold up is. My list continues with Lisa Scottoline, Lisa Gardner and Robert Parker, so many more but I can’t possibly name them all. I love reading ARC’s and always happy when I have the honor to do so. This is such a tough question. I devoured both Christie and Doyle in my youth so I’m glad I don’t have to choose between them because you and Katrina have already chosen them. I’d probably go with James M. Cain’s DOUBLE INDEMNITY. It’s short, which might persuade the reluctant non-crime-fic reader to give it a try. And then the person will be punched in the chest by how good it is. For more contemporary choices, you can’t lose with Crais’s L.A. REQUIEM or Gillian Flynn’s SHARP OBJECTS, which I think is even better than GONE GIRL. Congratulations on Red Right Hand! Joan Hess with her Maggody series is hilarious. Her characters are off the wall but she’s got a strong sense of place. Thanks to all who entered. There are some awesome book suggestions in this thread. 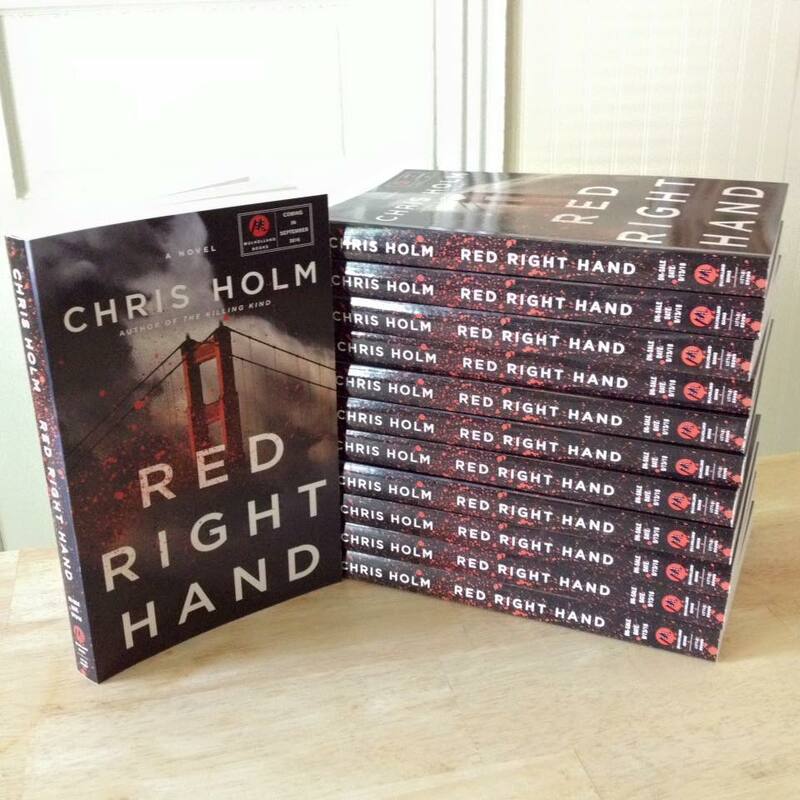 Peggy Ann, please drop me a line at chris[at]chrisholmbooks[dot]com to let me know where I should send your signed ARC of RED RIGHT HAND. Sure, close the contest when I’ve just finished reading the comments. Suspect by Robert Crais is an amazing book and I can’t believe you haven’t read John Hart. Lots of great books on that list, many of which have made for a lot of enjoyable reading. I have gotten many wonderful recommendations from this thread. I now need to read Crais; his name appears many times. Thanks, this was a brilliant idea, albeit, a departure from the main intent, there are some wonderful replies. Not a departure at all, Skye! My wife and I had fun discussing this, which is why I chose to use it as my contest prompt. I hoped we’d get a wide range of interesting suggestions, and I wasn’t disappointed. Chris, you and your wife did a great job!